4 Bdrm Semi-detached Dwellhouse. Ground flr: V/bule. Hall. Lounge. Dining kitch. Utility rm. Family rm/Dining rm. Bdrm. Shower rm. 1st flr: 3 Bdrms. Boxrm. Bathrm (CT band - F). Garden. Garage. Parking. Price over £269,000 Entry by arr. Viewing Chalmers 07749 643587. (EPC band - E). 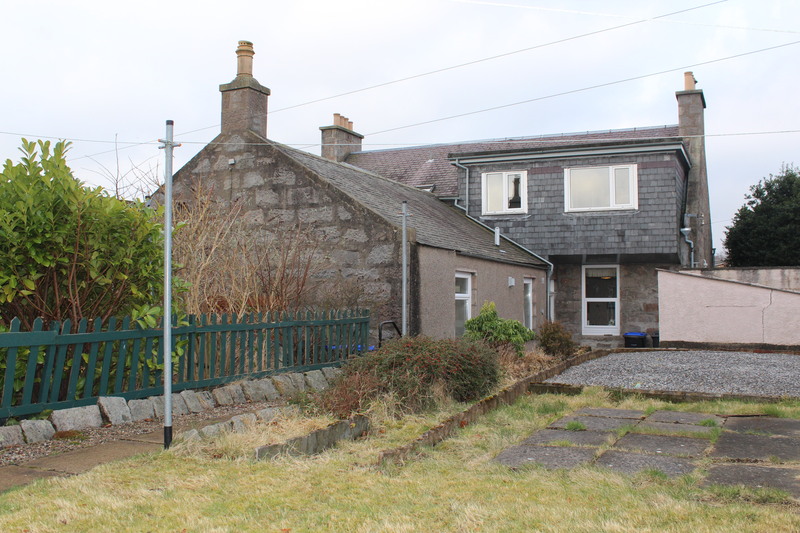 We are delighted to offer for sale this spacious FOUR BEDROOMED SEMI-DETACHED GRANITE DWELLING-HOUSE enjoying a much sought after location close to Inverurie town centre. Offering an enviable level of family accommodation attractively set out on two floors, it exhibits many fine period details including ceiling cornicing, deep skirtings, wood panelled doors and an elegant wooden staircase. The vestibule combines with the inner hallway to provide a welcoming entrance to the property as well as giving access to the ground floor accommodation. 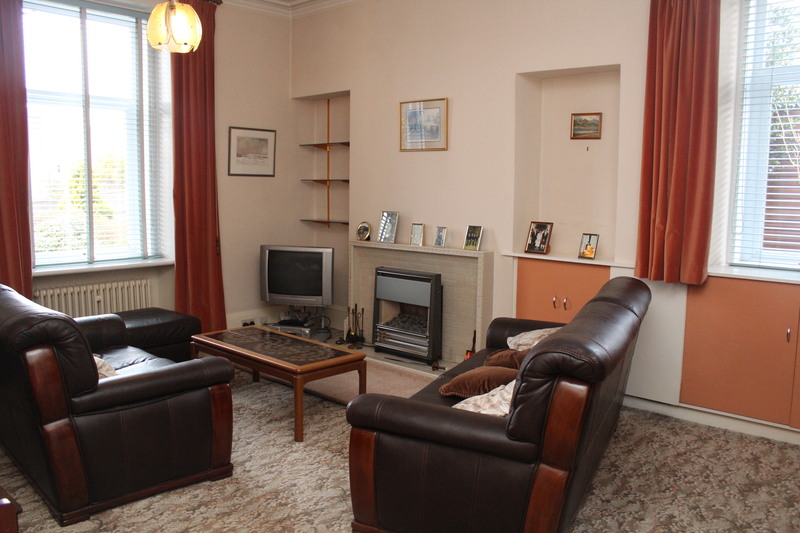 Overlooking the front garden is the truly impressive lounge with feature tiled fireplace with open fire. 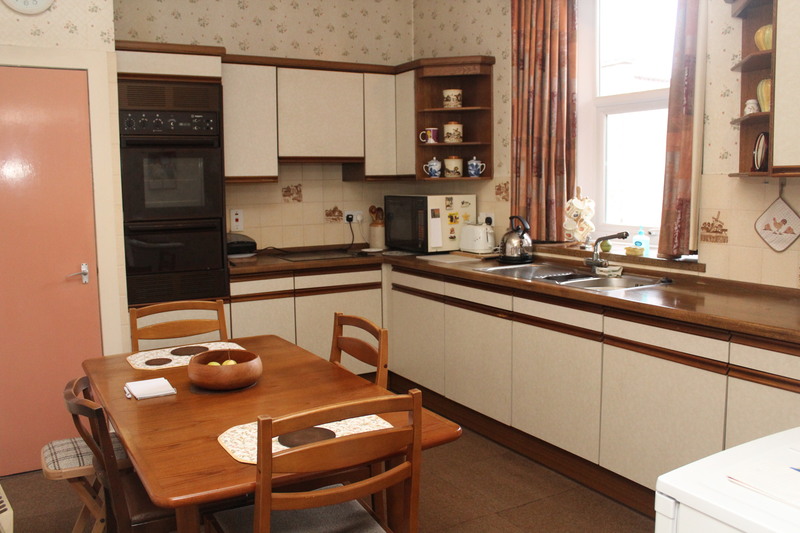 Located to the rear is a fully fitted dining kitchen which provides ample space for a large dining table and chairs. A rear hallway gives access to all further ground floor accommodation which includes a second sitting room/family room, a generously proportioned double bedroom, shower room and utility room. An elegant staircase leads to the upper floor where three double bedrooms together with a centrally situated family bathroom and a boxroom. Externally a tarred driveway provides ample off-street parking and leads to the large single garage which is fitted with power and light, together with two large outbuildings. The garden to the front of the property is mainly laid to lawn with the rear garden benefiting from an area of lawn, a paved patio area and a gravelled drying area. . Gas central heating serves the property which is fully double glazed. All fitted carpets and blinds will be included in the sale. VESTIBULE: Entered by a solid wood door with etched glass side and upper panels the entrance vestibule has a further partially glazed door leading to the hallway. Matwell. HALL: Giving access to all further accommodation the spacious and welcoming entrance hallway has been finished with a wooden dado rail and has a large walk in storage cupboard which is shelved and fitted with a light. Telephone point. LOUNGE: 17'7” x 13'8” (5.41m x 4.20m) approx. 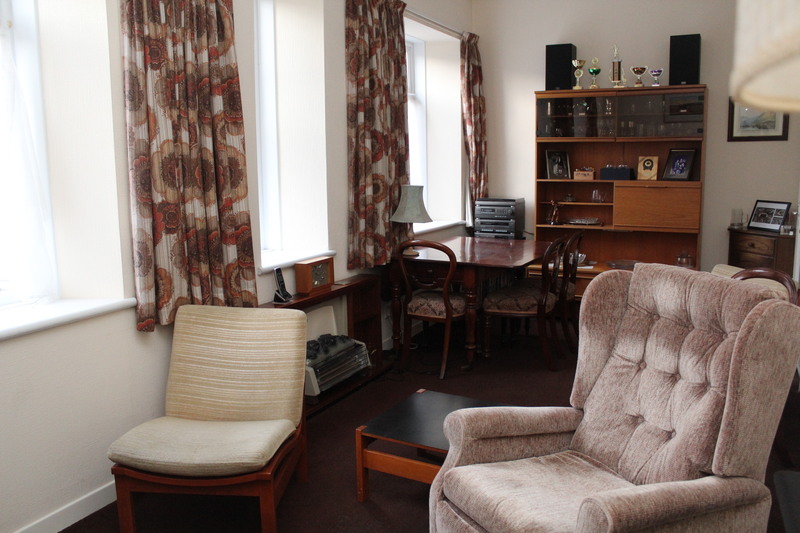 A generously proportioned lounge tastefully decorated and carpeted in neutral tones and enjoying a pleasant open aspect to the front and side of the property. A particular feature of this room is the most attractive tiled fireplace, housing an open fire, with display alcoves to either side. T.V. point. DINING KITCHEN: 14' x 9'11” (4.31m x 3.05m) approx. Enjoying a pleasant aspect over the private rear garden this spacious dining kitchen provides ample space for a large dining table and chairs and has been fully fitted with a range of modern base and wall units which provide ample storage space with roll front work surfaces and tiled splashbacks. 1 ½ stainless steel sink and drainer. Fitted double oven, hob and extractor hood. Cupboard housing hot water tank. REAR HALL: Leading from the main hallway the rear hall has a solid wood door leading to the rear garden and gives access to the remainder of the ground floor accommodation. UTILITY ROOM: 8'1” x 6'10” (2.49m x 2.10m) approx. Fitted with a range of base and wall units with single stainless steel sink and drainer, the utility room also benefits from a large fitted storage cupboard. Space for automatic washing machine, freezer and tumble dryer. FAMILY/DINING ROOM: 20'5” x 8'11” (6.28m x 2.74m) approx. A generously proportioned room, with three large picture windows overlooking the side of the property. This room is currently utilised as a family room but could quite easily be used as a formal dining room or a fifth bedroom. T.V. and telephone points. BEDROOM 4: 12'1” x 10'5” (3.72m x 3.20m) approx. 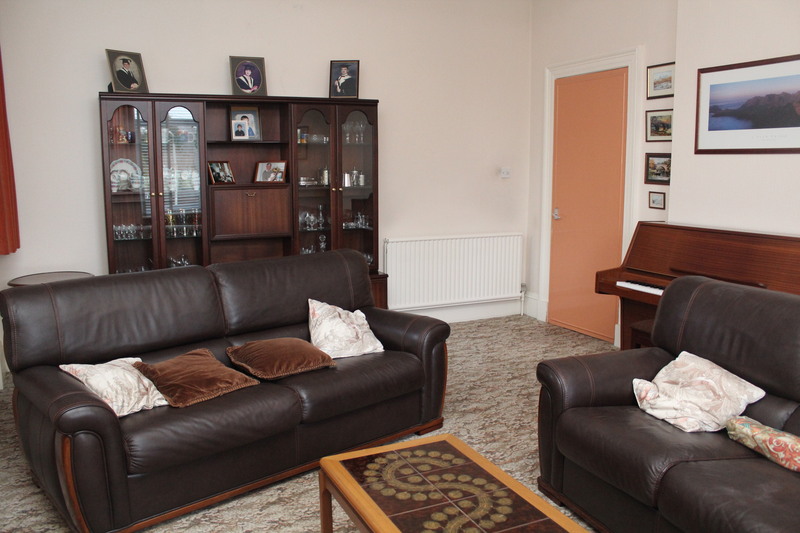 Overlooking the private rear garden this spacious double bedroom has been decorated and carpeted in neutral tones. 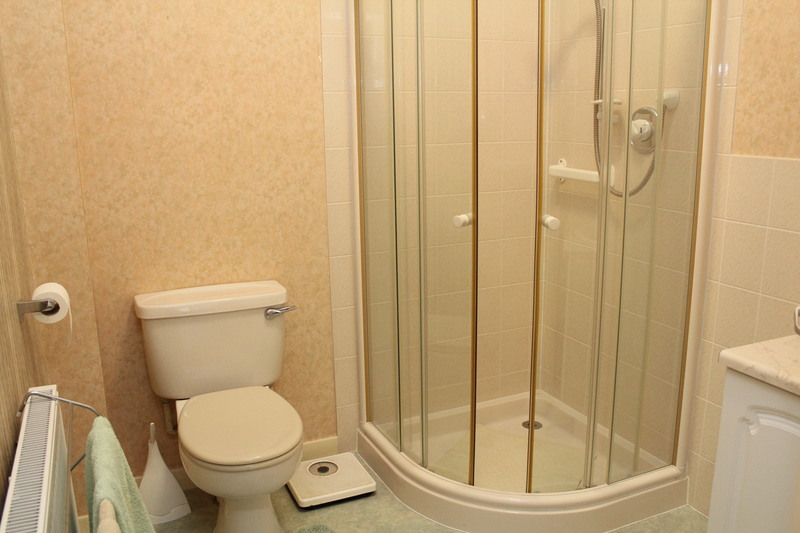 SHOWER ROOM : Fitted with a modern two piece white suite with the wash hand basin set within a vanity unit with tiled splashbacks above, and a separate corner shower enclosure which houses a “Mira” shower. Xpelair. UPPER HALL: A sweeping staircase leads to the upper hallway which gives access to all further accommodation. Three large shelved storage cupboards provide superb storage space. Access hatch to loft. BEDROOM 1: 15'4” x 12' (4.72m x 3.69m) approx. A generously proportioned double bedroom tastefully decorated and carpeted in neutral tones and enjoying a superb open outlook to the front of the property. Large fitted wardrobes with sliding mirror doors and a fitted drawer unit provide superb storage. BEDROOM 2: 11'5” x 9'8” (3.51m x 2.97m) approx. 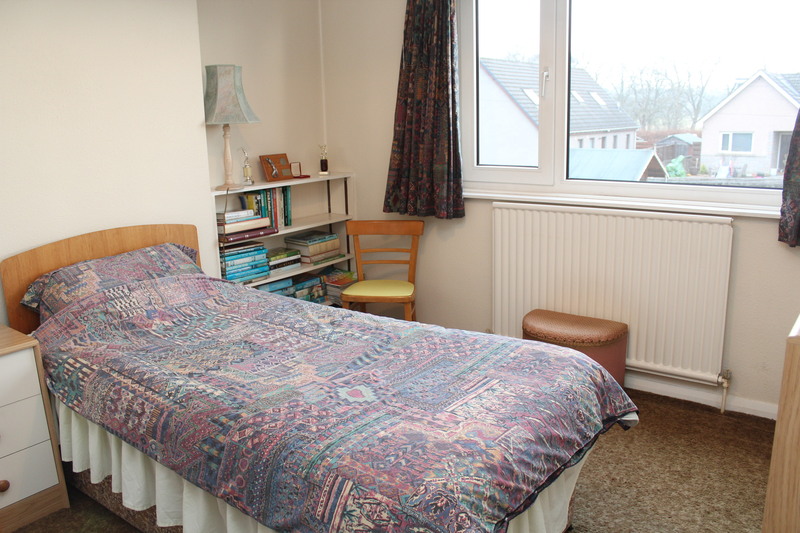 Also a good sized double bedroom enjoying an open aspect to the rear of the property. Double fitted wardrobe and fitted desk unit. BEDROOM 3: 11'4” x 7'9” (3.49m x 2.38m) approx. 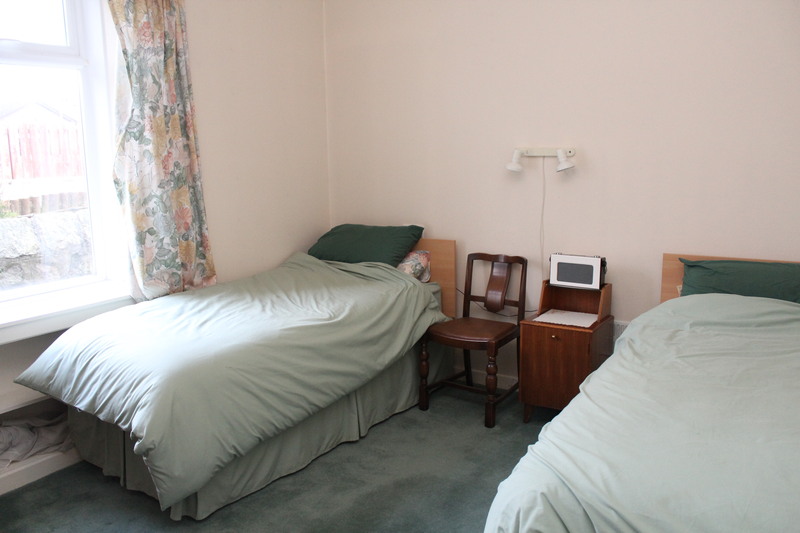 Also located to the rear of the property this again is a good sized double bedroom. Telephone point. BOXROOM: 7'11” x 6' (2.43m x 1.85m) approx. 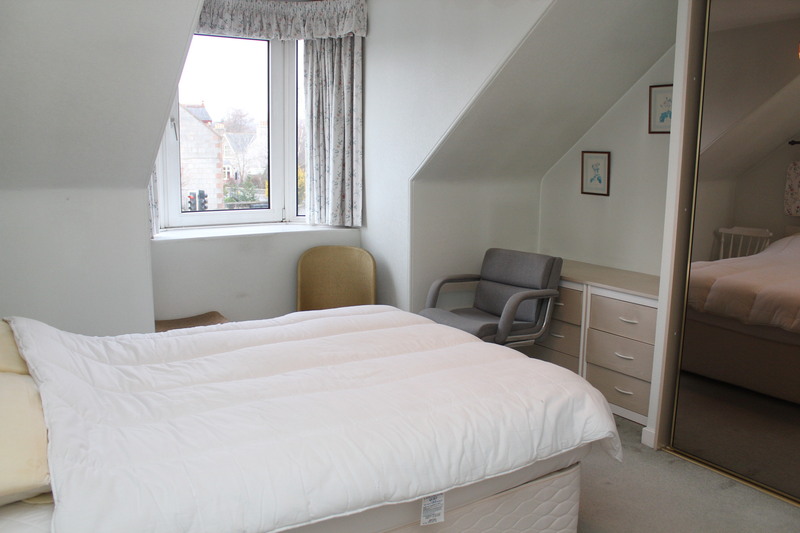 Located to the front of the property this good sized room could quite easily be used as a small single bedroom or a study. Velux window. 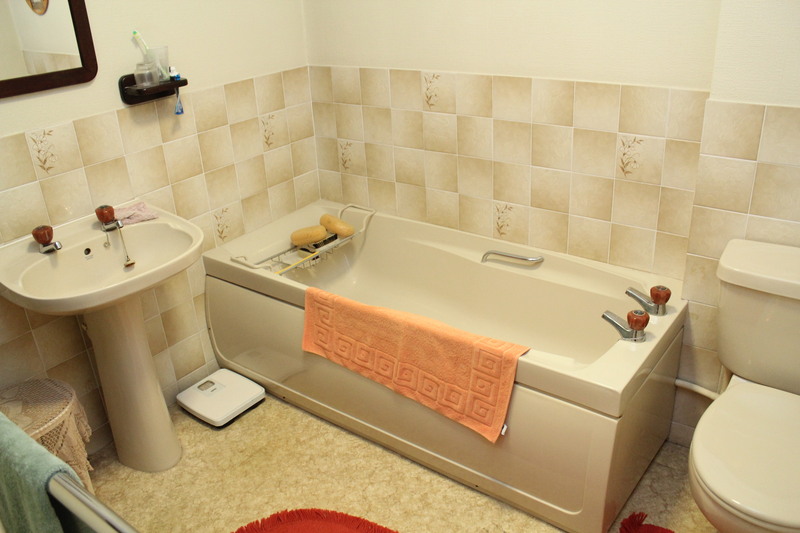 BATHROOM: The centrally situated family bathroom has been fitted with a three piece suite together with a separate fully tiled shower enclosure which houses a “Mira” shower. Heated towel rail. Xpelair. OUTSIDE: A tarred driveway to the front and side of the property provides ample off street parking and leads to the SINGLE GARAGE which is fitted with power and light. Adjacent to the garage there are two large stone outbuildings which provide excellent storage. The garden to the front of the property is mainly laid to lawn with flower borders. REAR GARDEN The good sized gardens to the rear of the property have been finished with an area of lawn bounded by flower and shrub borders together with a gravelled drying area and a paved patio. A gate to the rear leads to Commercial Road. 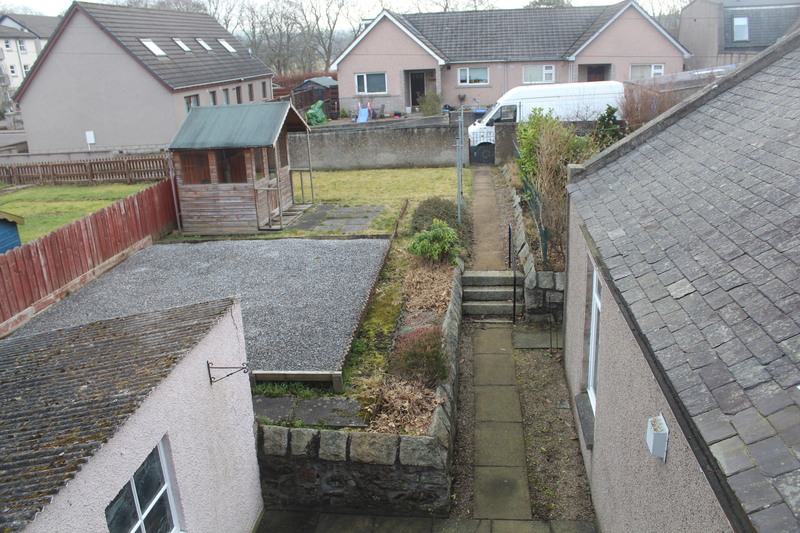 LOCATION: The property benefits from a much sought after location within Inverurie close to the town centre. Inverurie is a popular commuting base for Aberdeen, being a prospering, expanding town, which offers wide ranging facilities including, primary schools, a secondary school, shops, hotels, health centre, swimming pool, sports’ centre, library and golf course. 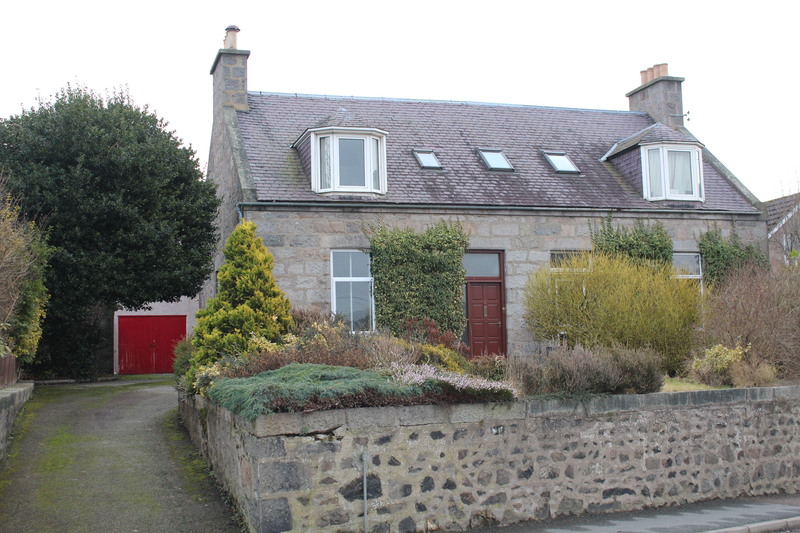 It is situated around 17 miles from Aberdeen and is well served by road and rail links. TRAVEL DIRECTIONS: From Inverurie town centre proceed along High Street towards Aberdeen. At the traffic lights at the junction with St James’ Place, veer left into Kirkland Terrace, and number 2 is the first property on the left hand side.